This is a very moist dense cake. 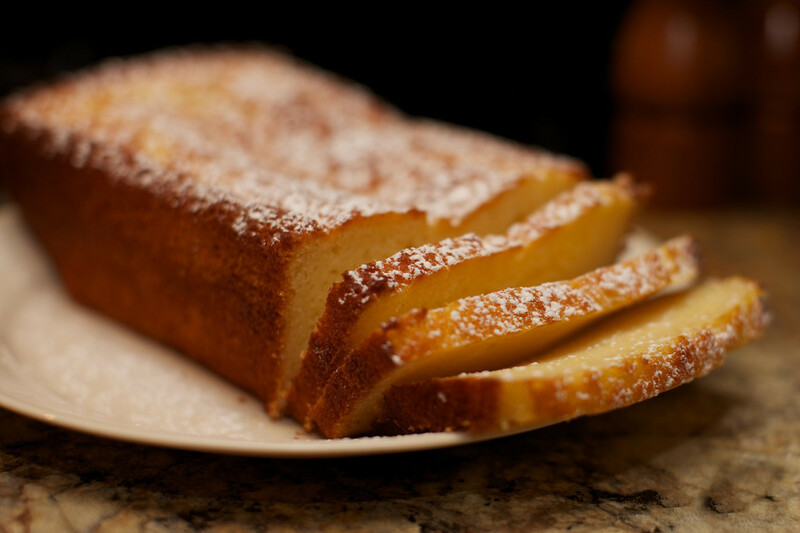 If you like a buttery pound cake this is the one to try. Delicious with some whipped cream and fresh fruit on top. 2. Grease and flour a 9 or 10 inch loaf pan. It makes a lot of batter so if you like 2 smaller loaves will do also. 3. In medium bowl, sift together flour, baking powder, and salt and set aside. 4. In a separate bowl, cream together butter, ricotta, and sugar until smooth and light. 7. On low speed, beat in dry ingredients to combine them, scrape down sides of the bowl, and beat the batter for 30 seconds on medium. 8. Pour the batter into the prepared pan and smooth top with a spatula. 9. Bake for 15 minutes at 350, then lower the temperature to 325°F and let bake until a cake tester inserted in center comes out clean, about 50 minutes more. 10. Allow cake to cool in pan for 15 minutes, then invert it on wire rack to cool completely. Dust with confectioner’s sugar before serving. This entry was posted in Uncategorized and tagged pound cake, ricotta. Bookmark the permalink.